Shares in Creso Pharma (ASX:CPH) could receive significant support after the company announced that it had formalized an agreement with its partner in Australia, Health House International Pty Ltd (Health House), following Health House’s successful import of the first medicinal cannabis products into Australia. Creso and Health House have entered the agreement for an initial two-year term (with an option of extension), subject to Health House International purchasing and importing the agreed minimum quantities of product. This agreement and the successful first import of medicinal cannabis products by Health House to Australian patients is a groundbreaking achievement for Creso Pharma and Health House and an important milestone at a time when the medical cannabis industry in Australia is growing rapidly. 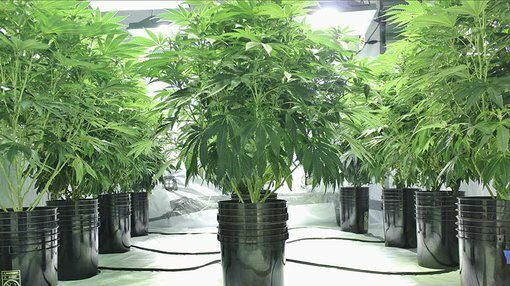 The agreement and import follows Health House being granted a Federal import license in February this year as part of the Australian Federal Government’s move to authorize the importation of medical cannabis from international sources to boost domestic supply until local production increases. While there are a number of players operating in the cannabis development space, CPH is one of the more advanced in terms of bringing product to market, and its execution in terms of developing a vertically integrated business has been faultless. The company brings pharmaceutical expertise and methodological rigour to the world of medicinal cannabis and strives for the highest quality in its products. It is the leader in cannabidiol (CBD) innovation and develops cannabis and hemp-derived therapeutic-grade CBD nutraceuticals and medical cannabis products with wide patient reach for human and animal health. Not only is CPH well-positioned strategically in terms of entering numerous markets including Australia, but following a recent substantially oversubscribed placement of $8 million and a subsequently well supported Share Purchase Plan of $1 million, the company has a cash position of circa $11 million. Key areas outlined by management regarding the use of these funds include fast tracking the commercialisation of CPH’s cannabinoid derived animal and human health nutraceuticals and other medical products. The company will be investing in expanding the group’s development pipeline with additional products that utilise innovative delivery technologies in order to optimise bioactivity and absorption of cannabinoids. The funds will also be used to assist the company in penetrating new geographic regions, which will provide additional sources of revenue. The successful first import involved a range of three cannabis oils (high CBD 1:20, high THC 18:0 and mixture THC/CBD oils 10:10) for human health from Creso’s Canadian partner, medical cannabis group, CanniMed®. The oils will be used for the treatment of a variety of indications as approved by the prescribing physicians under Australian Federal and State laws and regulations. Health House will now distribute the CanniMed® products across Australia in authorized pharmacies in compliance with Federal and State legislation.